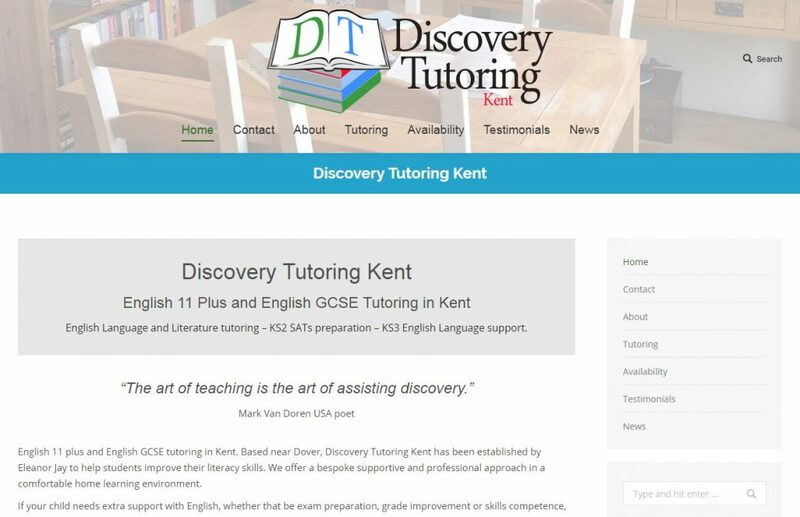 A clear, colourful website for Eleanor Jay’s English Tutoring business, Discovery Tutoring Kent. My design brief was also for a logo, and business cards. All copyright for the Discovery Tutoring Kent website is owned by Eleanor Jay.